Create your own nursing career! With the shortage of nurses in the US, your skills are needed in virtually every specialty in thousands of locations nationwide. Whether you prefer to work hands-on with patients or behind the scenes, there is a place for you. Create your own nursing career! With the shortage of nurses in the US, your skills are needed in virtually every specialty in thousands of locations nationwide. Whether you prefer to work hands-on with patients or behind the scenes, there is a place for you in the field of nursing. If you want more direct patient contact, consider working as a certified nurses' assistant (CNA), a licensed practical nurse (LPN), a registered nurse (RN), or a home health nurse, among other positions. If you like to help people from afar, you might enjoy being a radiological technician, ultrasound technician, or legal nurse consultant. The outlook for nursing jobs is fantastic, and it's also a profession with lots of room for growth. Nurses may change specialties two or more times in their career. Many nursing professionals start out as a home health aid or licensed vocational nurse (LVN), and then they advance to registered nurse, nurse practitioner, or specialized nursing fields. Some specialties, such as neonatal nursing, have no specific entry requirements other than experience and interest. 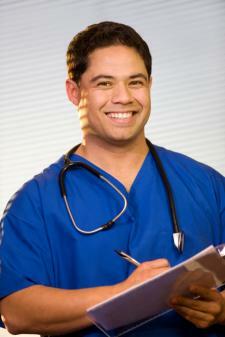 Other nursing specializations require further training and/or certification. For example, RNs who choose to enter the challenging field of anesthesia need to complete training at nurse anesthetist schools and pass a national exam. Check out our career section to learn what job opportunities there are in the nursing field and their training requirements. If you're the type of person who likes to help others and you're open to change, find out more about nurse training opportunities and start an exciting, new career. Get started today! These resources have been provided to further your online research regarding Nursing, Nursing Careers, and Education for Nurses. Many people probably would agree with the following statement when it comes to nursing: That nurses view themselves, or have come to see their profession, as secondary to medicine/doctoring. As such, nursing commonly finds itself viewed from the outside as a supplemental career. This could not be further from the truth. If you're interested in becoming a nurse, you're likely interested in both helping people and learning more about science and the human body. Ever wonder just how many people play a role in testing a blood sample? Read on to see just how many medical professionals, including potentially you, help make safe blood testing happen. People looking forward to a career in nursing might first consider working as a medical assistant as a way of learning more about the medical field and for the practical experience. Medical Assistants learn a very valuable skill set that can be applied toward an eventual career as a nurse, and if you think nursing may be the right career for you, the lessons learned as a medical assistant can go a long way toward helping you achieve this goal. Mary Poppins was practically perfect in every way. As a nurse, you'll need to be that and more. You know that nursing requires a lot of compassion. But, did you know that you will also need enough energy to equal a superhero? A nurse needs to be able to care for his/her patients, make sure the doctor's orders are followed, keep track of lab results, calm stressed family members, and document everything. Nurses aren't simply Florence Nightingales anymore. Nurses are now expected to be Florence Nightingale, an expert administrator, and a superhero all at the same time. The good news is -- you can do it! You have it in you to be there for patients in crisis and overwhelmed doctors. The nursing industry is exploding, and every nursing school and career website will tell you that. But, what does it really mean? You first start your registered nursing position in the emergency room, which is exactly what you wanted. The constant motion and the ability to immediately improve the life of a patient makes you proud that you chose nursing as your career. Nursing salaries across the country are rising, and the salaries for nurses should continue to increase with the continued shortage of nurses. Salaries vary widely across the country. Major metropolitan areas such as San Francisco, CA and New York, NY have a higher cost of living than Pocatello, ID or Lakeland, FL. As a nurse, you can generally plan when you will work and for how long, but your day will be anything but routine. Be ready to think on your feet and be surprised!